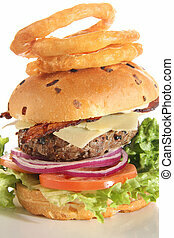 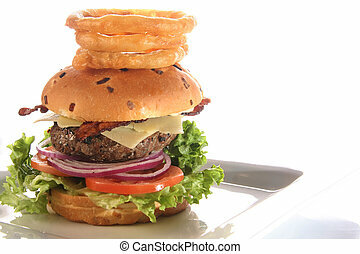 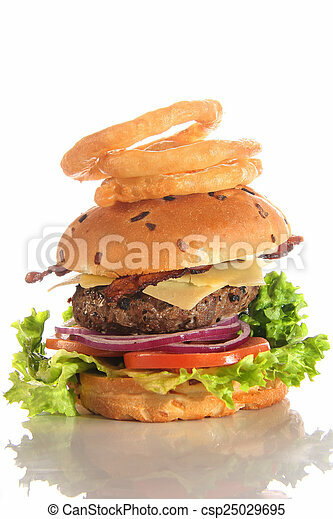 Cheeseburger with bacon and onion rings. 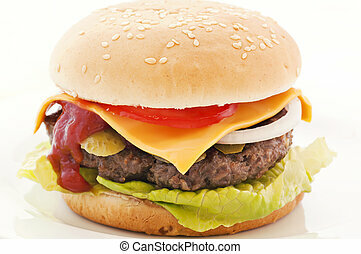 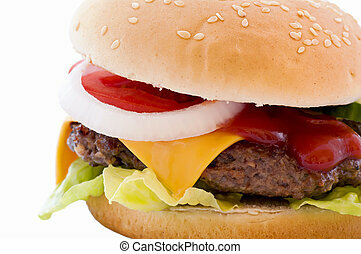 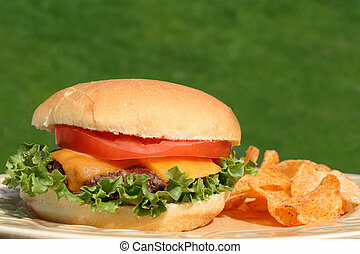 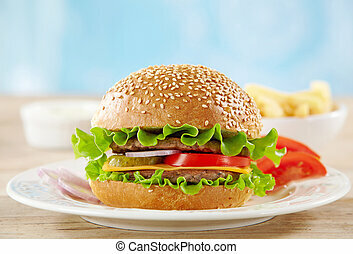 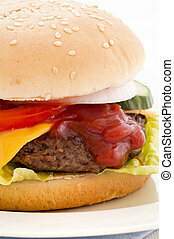 Perfect cheeseburger with chips, outside. 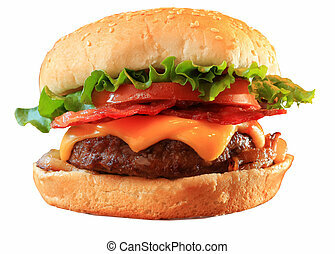 Cheeseburger with bacon, lettuce and tomato. 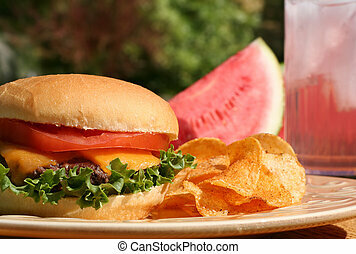 Perfect cheeseburger outside with chips and watermelon. 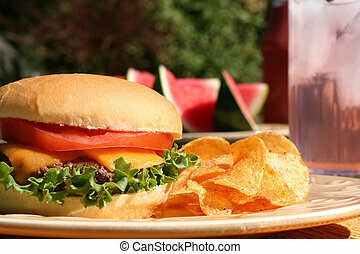 Perfect cheeseburger outside, with chips, watermelon and lemonade. 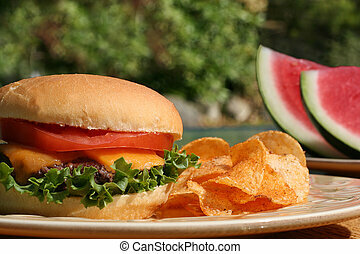 Perfect cheeseburger, outside in summer, with lemonade and watermelon. 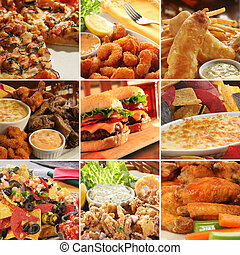 Collage of pub food including cheese burgers, wings, nachos, fries, pizza, ribs, deep fried prawns and calamari. 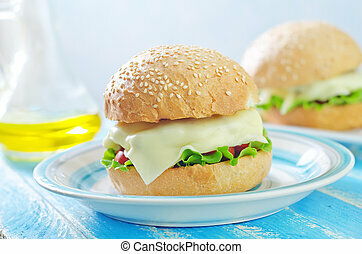 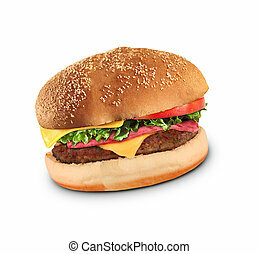 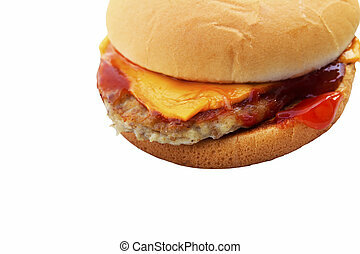 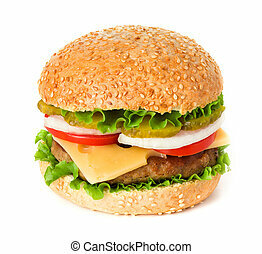 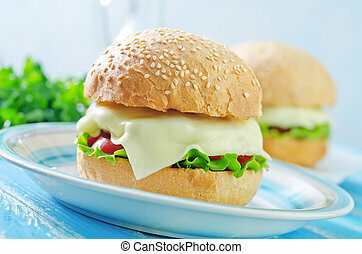 Gourmet Cheese Burger isolated on white. 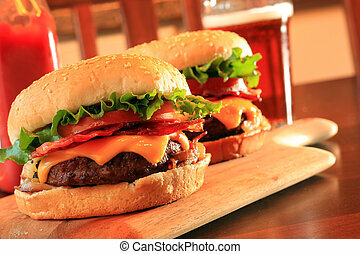 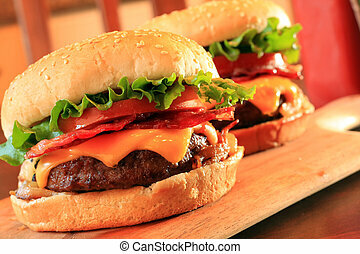 Juicy bacon cheeseburgers and beer. 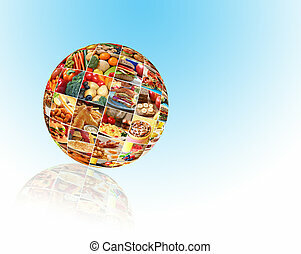 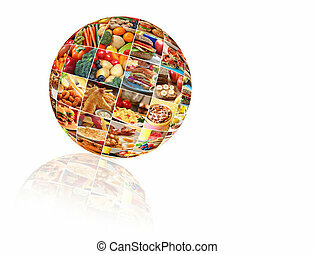 Spherical colorful collage of healthy fruits and vegetables. 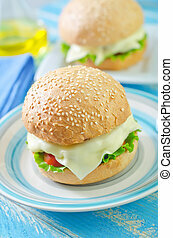 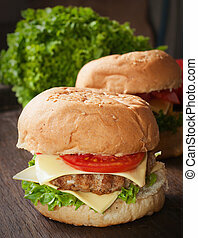 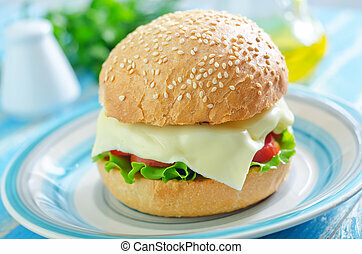 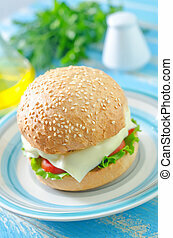 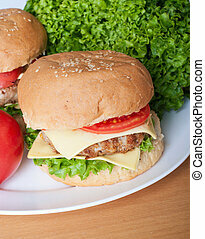 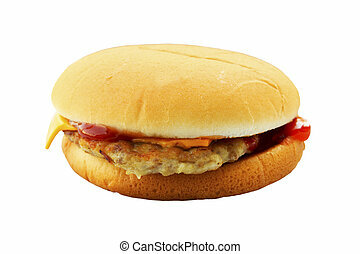 Also included are images of a pancake breakfast, lunch sandwiches and seafood dinners.